I’ve been responsible for teaching the introduction part of the Chinese course at Linköping university for several years now and one of the most frequent questions asked by absolute beginners is how to study characters. Not what characters to study, what they mean or how they are used, but how to actually learn them. 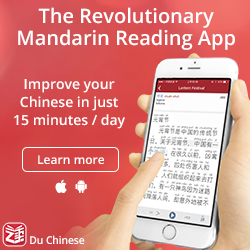 If you need to learn X number of characters by tomorrow, how do you do it? Since this questions pops up so often, I will try to summarise my answer in this article. Hopefully it will be useful for beginners out there (and perhaps some intermediate learners as well). If intermediate or advanced learners have other useful tips, please leave a comment! Before I go through the advice I have to offer one by one, I want to say a few words of encouragement. Learning Chinese characters is really hard in the beginning, simply because you have nothing to link the new information to. After a while, your web of Chinese knowledge will expand and adding further to it will become easier and easier. Thus, if you feel that it’s difficult and frustrating at the moment, don’t worry, it will become easier soon. It might feel like you’re drawing pictures, but as your understanding of Chinese characters increases, you will be writing soon enough. Study the character closely, including stroke order – Before you start to write, study the character you’re going to write carefully. How is it written? What does it look like? If your textbook or teacher didn’t provide you with information about stroke order, you can check this website. If you haven’t installed Chinese input on your computer yet, you can write the character here, but it will be hard if you have no idea about how to write it. Write it until you get the feel for the character – Once you know(in theory) how to write the character, write it until you can write the entire character without thinking too much. This is just to familiarise yourself with the hand motions involved and will help improve your handwriting in general. 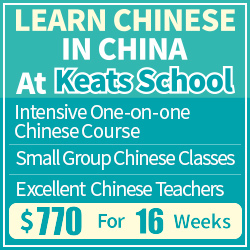 This is very good for beginners, but not strictly speaking necessary for intermediate students. The number of times you need to write a character varies greatly depending on the complexity of the character. Don’t copy characters stroke by stroke – Whenever you write characters, don’t copy them stroke by stroke. If you can remember the whole character at once, that’s very good, but if you can’t, break it down into its component parts and peek at the stroke order only between writing each component. Copying stroke by stroke is almost useless, because you’re not even trying to remember anything. Also, write the characters on a paper with squares of suitable size (a few centimetres). You can generate your own practice sheets with Hanzi Grids. Once you know the character, don’t mass your repetitions – Even if you have learnt a character, you will obviously need to review it if you want to remember it later. Some people (including most native speakers) write the same character again and again, hoping that they can etch them into their minds. This works, but it’s very inefficient. Instead, you should space your repetitions and write other characters or do something else between repetitions. This is several times more efficient than writing the same character over and over. There are programs called spaced repetition software that help you space the reviews optimally and you can read more about them here. You don’t need to use a computer program, though, simply avoiding massing your repetitions is a good first step. Practice pronunciation and meaning at the same time – If you’re writing characters, you might as well throw pronunciation and meaning in there as well. Write the pronunciation and meaning of the character next to it. If you’re sure how it’s supposed to be read, say it aloud. Otherwise, mimic the pronunciation here. Do not guess the pronunciation based on the letters used to spell it. 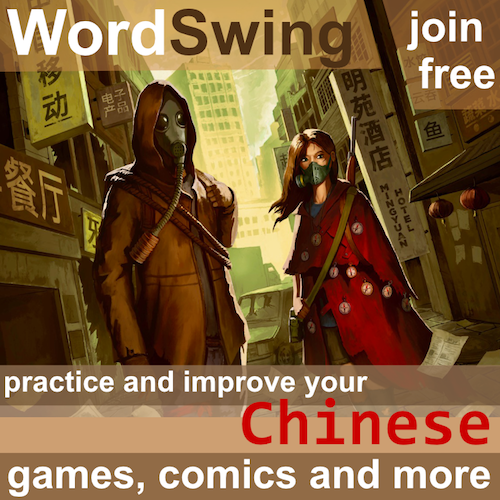 Pinyin has several traps and pitfalls you need to be aware of as a beginner! If you see a character component reappearing in different characters, look it up – It’s much more interesting to learn characters if you learn a little bit about them. You can use HanziCraft to break down characters for you. If you don’t know which components are important to learn, you can check this article: Kickstart your character learning with the 100 most common radicals. A general rule of thumb is that if you see a component three times in different contexts, you should probably learn what it means. Diversify your character learning – You can do this in many different ways, but downloading a flashcard program for your phone, creating paper flashcards, pasting the characters all over your apartment and writing them on your hands are all good places to start. Studying isn’t only done in front of your desk. Diversifying your learning will vastly increase the time you can spend learning characters. Read more here: Diversified learning is smart learning. Creating a powerful toolkit – I have written quite a lot about character learning here on Hacking Chinese. 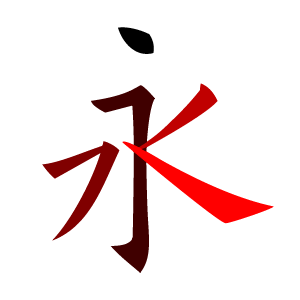 Some of the advice will be over the heads of absolute beginners, but if you want to read more, I suggest you start with my toolkit-series, where I introduce the concepts necessary to hack Chinese characters properly. The first article can be found here. The above advice should get you pretty far. If you want more resources for looking up characters (or anything else related to Chinese), I suggest that you read my article about suggested dictionaries (most of them online and free). However, don’t obsess about details and don’t try to look everything up. You will enter into a maze with no exit except the one you came in through. Realise that perfectionism can be an obstacle to progress. Learning to write and read in Chinese takes quite a lot of time and effort, but it’s not as hard as it might seem at first. Sticking to the advice in this article will prevent you from making some of the more egregious mistakes. Learning thousands of characters will still take a long time, but hopefully this article will make the journey a bit easier. Good luck! A topic near and dear to me. I really like the image you chose for this article. thanks, I find your advises very helpful, also the resources linked. I’ll definitely have a lot on them! For the beginner, overview is often ignored and makes the learning process more intimidating. Just about everyone can look in a Traditional Chinese character dictionary and see that the most complete radicals are 17 brush stokes, but has anyone every shown you how many total brush strokes there are are in the longest of Traditional Chinese characters? The answer is 33 brushstrokes. And for some beginners, it is comforting to know there is a limit. It also makes them aware of the dictionary index that lists characters by total brushstokes. If you just start out at the low end of the brushstroke count and think you can work eventually to the top end, you might never arrive. Use the whole dictionary and ALL the indices provided. Spend an afternoon exploring and writting those 33 stroke characters, just to get an idea of the look and feel of the densest of the Chinese characters. You may someday come across one and not be daunted by the high brushstroke count end of the dictionary. i have actually never heard about anyone doing that. As far as I know, all courses and all textbooks are based on the frequency of the words and/or characters (and, of course, their practical usage to beginner learners), not the number of strokes they contain. A number of fairly complicated characters typically appear very early, especially if one is learning traditional Chinese (聽、國、會、學、還、樣、etc. come to mind). High frequency approach is quite common teaching 2nd language lexicon in any language. But the problem with such an approach in Chinese is that it completely avoids the written lexicon for names or more fancy characters used in advertising. When one turns to reading real world Chinese signage and newspapers, the lexicon is a bit too limited. One can enjoy elementry school and middle school texts, but I am rather weary of being set apart from the mainstream. If you study geography in Chinese, you soon see a lot of odd and exotic characters in the namespace for locations in China. If you can get a copy of the Taiwan Yellowpages, you can get a better idea the namespace for products and services by the headings listings in the index. But both are a lot of work and ambitious projects. The student doesn’t just need what the linguists calcualte as high frequency and I see a lot of 2nd langauge English learners that hit a plateau with such that they never get beyond. It takes some individual initiative and exploring to break through such an artifical pleteau which is often called a creole or pidgin. The reality is that we are always learning new lexicon in all the languages we know or try to know. Otherwise, our ability to communicate falls behind. Just now looked up your facebook page and the related comments. Interesting, actually, the naming of the strokes is what I liked most about that post in the first place. I really think learning the names of the different strokes is cool. Funny, as that was the exact opposite of your comment about learning stroke names on facebook… haha. (Different strokes for different folks, aye?! Pun intended… hehe). As to the issue at hand, that the original “yong” character photo you used and the names of the strokes, can you send me the original photo or at least a link to it? Reading and Writing Chinese, revised edition. by McNaughton and Li is one of the older more established texts for study of the written characters, based on the Yale University texts for learning Chinese. It is intended to help you associate English words with each as you go along progressively in the first 1020 items and includes the “Official 2000 list”. It really helps you have an English name for each component of a character, some are obscure and originate out of history that the text mentions. It is very complete and mentions the Simplified character when different. The general concensus is you need to learn these 2000 to read a Chinese newspaper. The general concensus is you need to learn these 2000 to read a Chinese newspaper. I like the rest of your comment, but this is just wrong. There is no such consensus. If you happen to know the two thousand characters in an article, sure, that will be enough, but if you know the 2000 most commonly used ones, no way. This will probably lead some a situation where you can mostly understand the structure of sentences and perhaps some content, but without understanding almost any keywords. Also, the important thing isn’t necessarily how many characters you know, but how many of the words based on those characters you know. Still, 2000 is way too low regardless how you count. I think this is what many beginners don’t realize,”The important thing isn’t necessarily how many characters you know, but how many words based on those characters you know.” I know enough characters that I can recognize almost all (over 95%)of the ones I come across in a newspaper or magazine, but I still can’t understand everything because I don’t know the meaning of some words. Indeed! In addition to that, I think keywords in articles are usually harder than the rest of the article, which means that you might know 95% of an article, but the 5% you didn’t know turned out to be really crucial. In any case, knowing 95% of the characters does NOT equate to a 95% understanding of the article. 95% of the words comes closer, but is still not accurate. so I’m curious, what is the answer to this? I’ve finally started this year trying to concentrate more on hanzi, having made do, in the past, with mostly oral knowledge to get by. I’ve been going through some kids’ workbooks for writing hanzi, and doing some writing practice on other hanzi that are among the more frequently used, especially ones I’m needing in particular; I have a reference book of characters that has them organized in order of frequency of use, as you have mentioned. One of the other tools for studying that I picked up was a character a day pad, thinking, if I can’t do longer study on a particular day, at least I can do one character. The earlier ones are pretty easy and I’ve been wondering whether to use each for a few days and do the associated words (not just 一 but 一个, 一本, 一次), etc., but that almost seems to negate the purpose of the one a day pad. Would you recommend just going through the most commonly used and then adding on 2 character words/expressions after? Maybe I’m just in a strange place because I’m both a beginner and not, having lived in China for a few years. Good question! I think it definitely makes sense to learn words that contain the characters you’re learning, particularly if you can find words that contain only characters you have studied. You don’t want the number of new characters to explode because of this. Both approaches work, though, but I prefer learning and teaching things that are immediately useful, and that means you have to learn words. Some people have reported that they learnt lots of characters successfully by learning individual characters first, but you have to play the really long game to even consider that. ah.. this is a bit awkward. I previously mentioned that the ‘namespace’ of any language is a special set that is set aside from high frequency words. Learning names is important to establishing a topic, a context and discussion in detail. So I tend to agree that the 2000 words will not carry you entirely in reading a newspaper. Additionally, the issue of learning Chinese words as many characters are bound forms (these only are used with other characters). Historically, I believe Yale promoted the idea that the 2000 characters were needed to read newspapers. Learning names does demand some special resources. I’ve two dictionaries out of Hong Kong that group lexicon by topic and they are very helpful with vocabulary used in a specific context. Getting Around in Chinese by Marco Liang. Nonetheless, if you are just a beginner to writing and recognizing characters, 1000 are going to keep you busy for quite some time… 2000 even more. Recognizing characters in real context is very helpful, but these book will get things started. I’m a beginner and I didn’t know about this “consensus”. I find it quite similar to the Jooyoo Kanji list, which is an official Japanese hanzi list of the main 2000-something kanji you should know when reading newspapers etc. This is why I think 2000 hanzi for Chinese language is not a feasible basic set since, in my opinion, Chinese text requires more hanzi than Japanese text requires kanji. But I could be wrong since I just started learning Chinese recently^^. Some words are linguistically transparent (easy to recognize their meaning), other words are lingusitically opague (specialized, used less often or less widely) and difficult to find out their meaning. 2nd language teaching generally starts out with the transparent words (the words most often used and most acceptible to general public), the opague lexicon we have to learn more from actually asking people what the words mean.. via social networking. But just starting out with character recognition is a bit visually challenging. I strongly suspect English users and Chinese users develop different parts of the brain in recogizing written words. English users can easily recall long strings of letters, Chinese users can recall subtle differences in meaning that the addition or omission of one brush stroke indicate. In the beginning, i spent many months just memorizing and writing the list of radicals to help this process along. But there are other bits of characters besides the radicals. Reading and Writing Chinese by McNaughton and Li tries to help you by explaining these bits, not just whole characters. Some bits used to be stand alone characters, but no longer are. Simplified Chinese takes the whole process one large step forward and futher away from the history. It may be easier to learn, but you can’t easily go to older Chinese literature as you pretty much are tied to Chinese in print only after the 1940s. Many thought it is difficult to learn Mandarin Chinese. It is not quite true! In my opinion, Chinese is one of the most interesting languages in the world! Chinese is a picture language, which means ancient Chinese people draw different pictures as Chinese characters out of everything they saw in the environment! Therefore, the best way to learn well the language, in my view, is to learn the radical of the characters first, which by itself usually has a hint from the writing (or drawing) and then forms the character. Just share a final thought, It takes efforts to learn Mandarin Chinese well, but what doesn’t? Editor’s note: I deleted the last part of your message. You have the opportunity to add an URL to your name when you comment (which you have done), which is fine. Advertising which is completely unrelated to the article in question is not okay, though, which is why I have edited your message. I hope you understand and don’t mind! Actually, very few characters are pictures, but in general, I agree with what you say. I have written about this in many, many articles (including this one) and I don’t really see where our opinions differ? I always stress learning radicals and character components. Thanks for tweeting this archived post Olle. Do you think memorizing how to write a character (including stroke order) should be a beginner task? I’m eager to hear your thoughts on this. 1) Learn to recognize 100 most frequent characters by image alone. 2) Learn to recognize 100 most frequent radicals by image alone. 4) Learn to write the 100 most frequent radicals. 5) Learn to recognize the 1000 most frequent characters. 6) Learn to write the 250 most frequent characters. Practicing handwriting, from my experience, takes perhaps an order of magnitude more time to learn than accurate recognition. 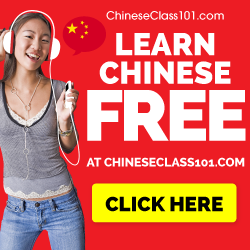 Order depends on learning goals, of course, but being able to read some beginner graded readers would be an achievable milestone more quickly reached than if you dove straight into memorizing stroke order and the proper formatting of the hanzi. I can’t back this up with research (although there might be research available), but I think writing characters from the very start is worthwhile. Of course, it might not be necessary to write all characters, but I don’t think it’s necessary to learn how to read characters before you learn to write them. Instead, which characters you learn to write should be based on some kind of logical sequence of what makes sense (based on which radicals are taught and so on). The same is true for reading, but reading is more determined by what you want to read (i.e. normal Chinese), so you can’t avoid learning some really common characters like 我 just because it doesn’t fit in the general sequence. Okay, yes, you actually can do that, but it’s not practical for most people. I usually stress passive knowledge before active, but I do think the process should be parallel when it comes to learning characters as a beginner. I think it probably makes sense to learn to write basic characters + radicals early on simply because that will give you different mental tools for processing and categorizing any characters you learn to recognize. Definitely a mistake I made, since without having practiced drawing the radicals, I couldn’t mentally categorize them properly. I also think it’s a matter of processing depth. It’s true that it takes magnitudes longer to learn to write something, but since these characters (radicals and common components) are so common, you really need that. It’s probably wasted effort to learn to write rare names of dishes, people and places, but when it comes to common characters and radicals, I think the time is well spent. To weigh in on this I think it depends a lot on learning objectives. It’s now very easy to get by with typing Chinese on a phone/computer. This requires recognition but not reproduction skills (at least not as much as one requires when writing by hand). Increasingly I recommend early beginners not to stress too much about the characters and to focus on getting a grounding in spoken Chinese first (which is much more straightforward once the “alienness” of the tones has been surpassed). Even at the point of learning the characters I think it is still worth having a long hard think about whether handwriting is a necessary/desirable goal. Focusing on recognition and typing alone allows for written communication to be a reality much much faster. And in reality the vast majority of written communication we do nowadays (in our mother tongue or otherwise) is digital rather than handwritten. Thus deciding whether to spend months if not years mastering characters by hand is a serious question every beginner needs to consider. That said, I definitely think it helps all beginners to learn to handwrite the most common radicals and characters. Perhaps not in week 1 but at some point during the first few months of study (I bitterly remember trying to write 我 by hand…wow that’s an annoying one to start with!). Being able to reproduce the first hundred characters or so by hand helps massively with later recognition, learning and remembering because it gives the brain more mental hooks/reference points to work with. Manually grinding through those first hundred or so radicals/characters helps to understand the logic of how the characters are put together. A tough but important rite of passage! I’m an intermediate learner (or somewhere between beginner and intermediate at least). One of the things I do that I really enjoy because it helps me so much, is to look up the word that I’m learning in a Chinese dictionary. After you go down the rabbit hole of adding the words in the definition and adding the words you don’t know in the definition of the word from the previous definition things start to repeat, eventually. 🙂 It’s really helpful once you get past the initial hump of not knowing most of the words in the definition! And using pictures so you can learn the language without translating is super helpful. I think you (the writer of the article, the guy whose website this is) should link to this article where people can find it, because I 100% agree with his method of learning a language with adding pictures to flashcards make it not need translation. I had to put some chinese text into a document, and I became curious about how someone would learn to write the characters.